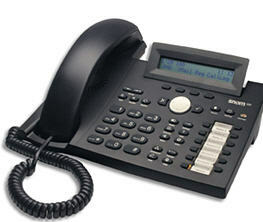 The website explains, "The Web interface of the Snom 32x VoIP phone suffers from many vulnerabilities that may cause financial and reputation trouble for the organizations that trusts them in their network. The vulnerabilities are based on common attack vectors, such as XSS and CSRF." Hackers will need the IP address of the phone being targeted to launch the attack, but using a simple scanner they can use a cross-site scripting attack to hack the phone’s built-in management interface. Steal the phone history from the logs including any other details attached to the calls via XHR. Poison the address book with a persistent XSS - the name is encoded correctly but not the phone number. Change the settings of registered phones, including the displayed text on the phone’s display. But most interesting of all, you can monitor the victim by making a phone call to the attacker’s number, who in turn will accept the call and record the incoming sound. GNUCitizen points out that the phone doesn’t give any noticeable feedback (ring tones, etc) while the victim is under surveillance and the victim pays for the call. Yikes! Let’s have a look at a proper scenario. 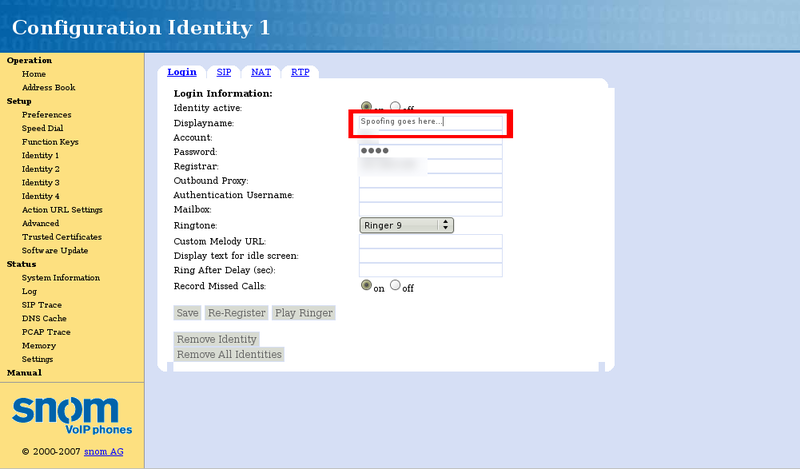 If the attacker knows the IP of the device’s Web interface he/she can disable and/or hijack the whole phone within a few minutes. By crafting a XSS-CSRF vector he/she can inject a persistent XSS into the address book. When the victim visits the phone book, the XSS worm is silently executed and the attacker gains a total control over the interface and the actions that will be performed in the future. This also circumvents any protection mechanisms like VPN or comparable network layers, etc. And yes, in the worst case scenario the attacker will be able to survey the sound in the room in and cleanup the logs afterwords. \nHackers will need the IP address of the phone being targeted to launch the attack, but using a simple scanner they can use a cross-site scripting attack to hack the phone’s built-in management interface. \nBut most interesting of all, you can monitor the victim by making a phone call to the attacker’s number, who in turn will accept the call and record the incoming sound. GNUCitizen points out that the phone doesn’t give any noticeable feedback (ring tones, etc) while the victim is under surveillance and the victim pays for the call. Yikes!